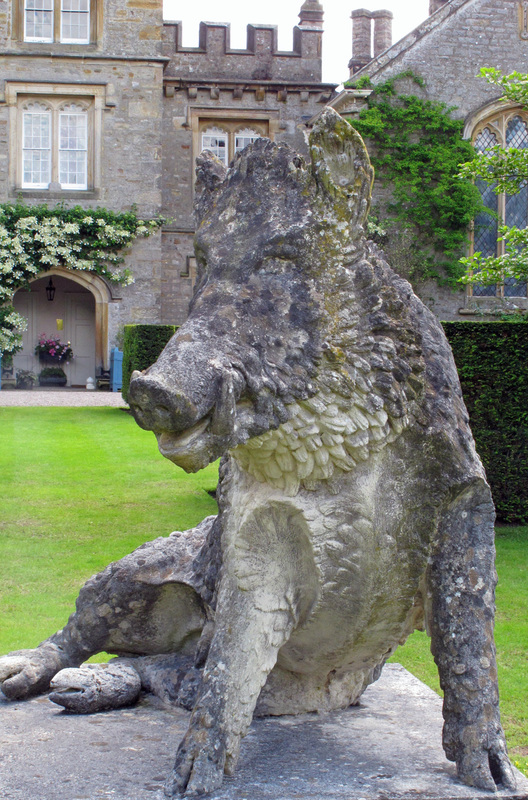 A wild boar statue greets visitors: ‘Gresgarth’ is Norse for ‘enclosure of wild boar’. The original building dates from the 14th century – more modern additions have made it elegant as well as imposing. 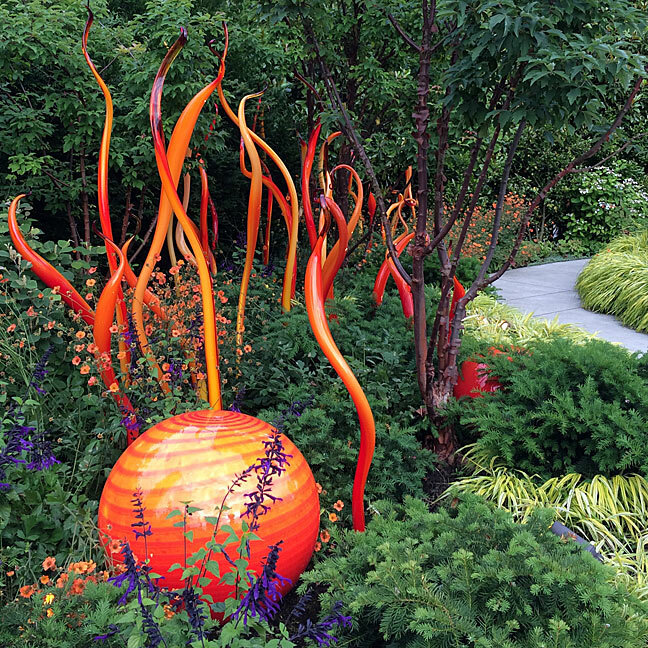 The hillside garden, cut through by Artle Beck, presented challenges that have drawn out all the designer’s ingenuity. Today the wilderness, initially compared to Wuthering Heights, has been shaped and softened. 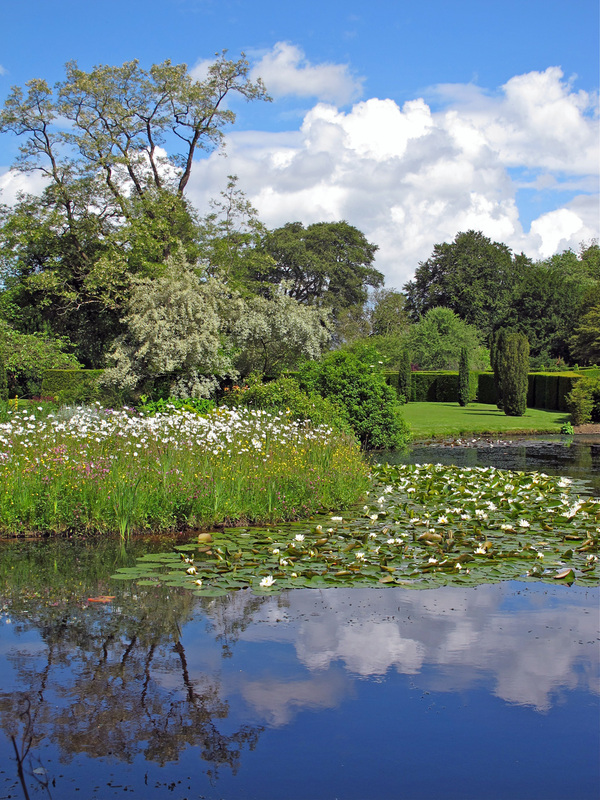 You’ll discover an unusually wide range of garden styles for a private garden: glorious, wide herbaceous borders; formal lawns; a patio garden; a wildflower meadow; a lake with a much photographed rowing boat; a serpentine walk; an English bluebell wood; terraced plantings; and a classic pleached lime tree walk. We chose not to ramble through the rhododendrons on the hilly riverbank, lingering instead in the walled, potager-style, kitchen garden amid the flowers and vegetables and admiring the blue meconopsis and rainbow coloured candelabra primulas in the bog garden. A modern, sweeping, textural green border, decorated by alliums and large thistles drew us back several times in an attempt to get a decent picture in the bright summer sunlight. If you visit later in the year, this will be transformed into a white garden. The garden rooms and woodlands showcase a broad and intelligent assortment of plants that seemed perfectly adapted to their north Lancashire home, including many rarities grown from seed, supported by different soils and microclimates. Some planting experiments must have been more successful than others, but anything that didn’t work has clearly been swiftly replaced. 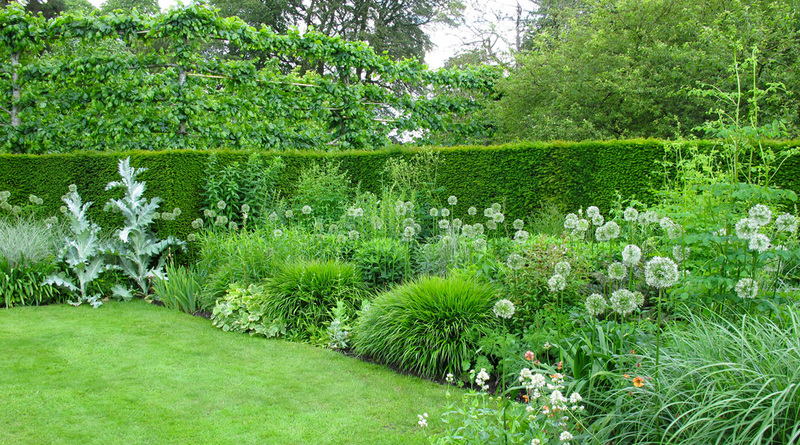 I’m not usually a fan of box and yew hedging – to my mind it can make a garden look sparse and any patchiness is very evident – but in this abundant, free-flowing, beautifully maintained garden, I have to take my hat off to it. Carefully selected collections of cultivars are so gracefully included that you might not spot the diversity on display. They include rhododendrons and azaleas, witch hazels, lilacs and over 300 different magnolias. 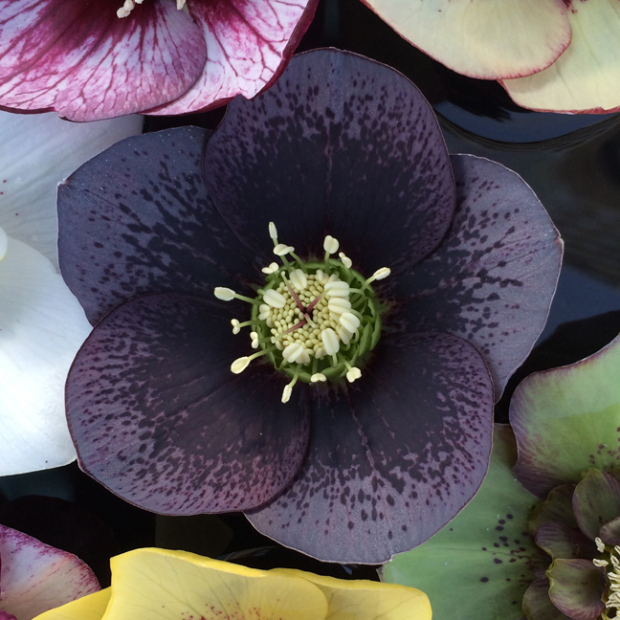 In March, the spotlight falls on hellebores sourced from all the best UK breeders – the date’s in my diary! During our visit, the early roses were just starting to flower. Interesting features include cobble mosaic paths by Maggie Howarth, a Chinese style bridge, a topiary bird, viewing platforms, a folly, willow work, garden ornaments and different styles of garden seating: all chosen and placed with discrimination. You might anticipate the rather staged character of a show garden from this multiple Chelsea Flower Show gold medal winner – far from it. This subtle, thoughtful designer has created an idyllic landscape for her family to live in, starting with the homely wire planter of geraniums by the front door. Visit once and you’re in real danger of being drawn back time and time again, not just by the planting, but by the special atmosphere you’ll experience at Gresgarth. The gardens are open to the public from 11 o’clock on the second Sunday of the month, from February to November. Visitors in February and March are offered a warming cup of hot chocolate. 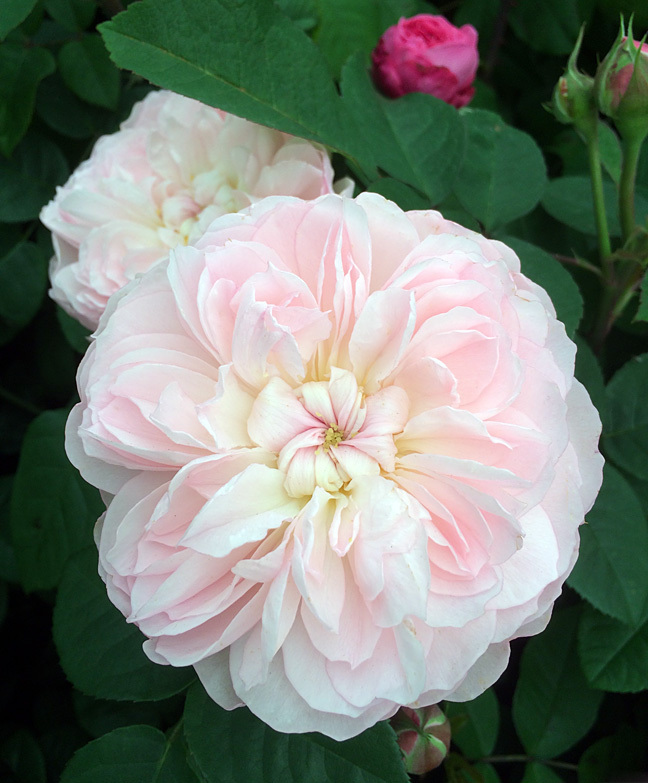 These pictures were taken in early June 2014 when the perennial borders were lush with their first flush of blooms. Closing times and prices vary – check the website for details. Do I need an apostrophe if the word ends in s? They’re just 35 miles apart. 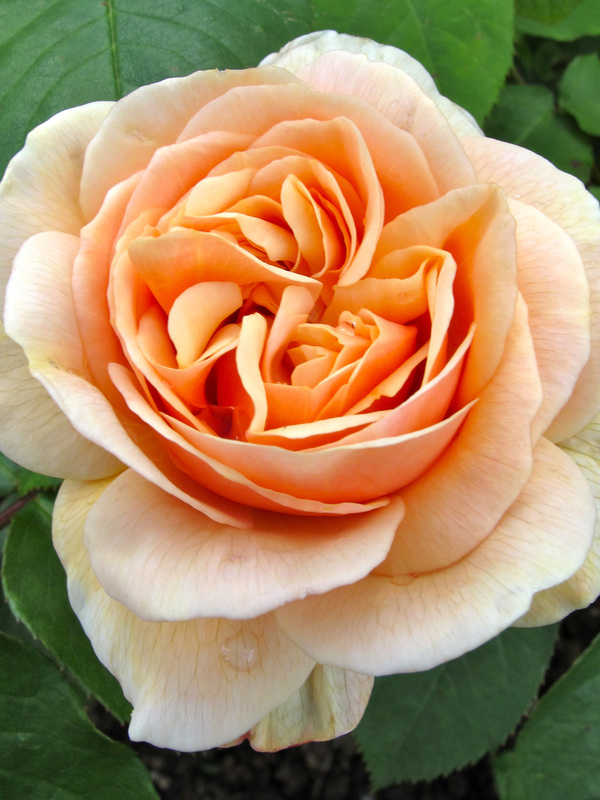 I know what you mean – my roses need a little attention too! Did you say this was an addendum for an original post on the Gardens? I like what you did, and actually was reminded of the places in my area that I visited years ago. I think bringing back an older post, with additional information, and embellishments like photos and such are a good idea, and newer people (like myself) will come through, bringing more traffic your way. Yes, I added a review and some extra photos to my existing photo gallery. Thanks for stopping by! I have found adding pictures. to my blog is a good thing.It adds interest and they read my reviews. There are many sites for pictures. There is also a site called if We were having coffee I would tell you this. I need to think about adding this to my site so until than I am adding to my pictures of the week a short blog. I love your garden is is lovely. I’m glad you like it, though it’s not mine, just one I enjoy visiting. It is great to see a lovely garden. There are a couple here I look to see what’s blooming when drive by.